The end of the year is coming closer and therefore we would like to thank all our clients and partners for the trust they put in us. Looking back to 2014 we had twelve awesome months with plenty of milestones, e.g. : the introduction of the ERP module, the multitenancy capability as well as the inauguration of the development center in Krakow. 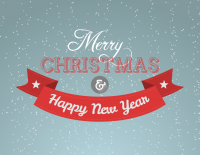 We wish you all a merry christmas and a happy and successful year 2015!